Heneghan and Associates, P.C. 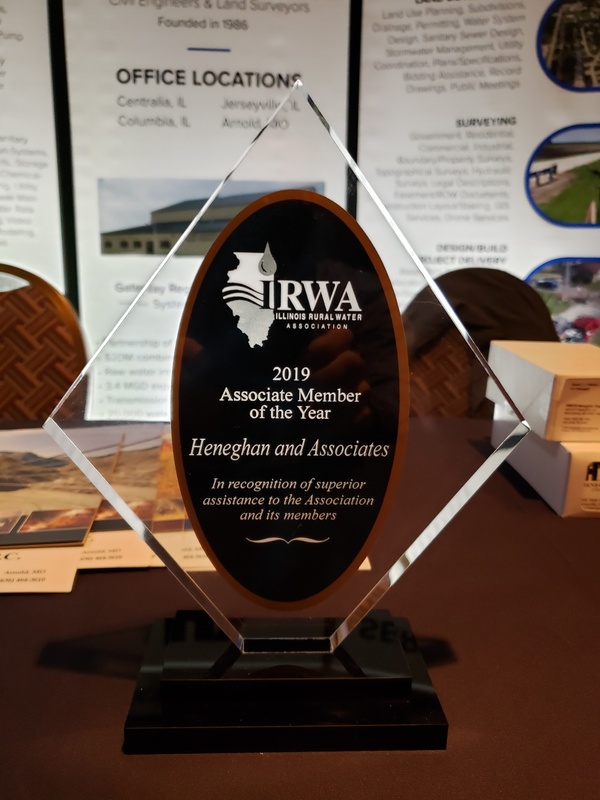 (HA) is proud to announce our acceptance of the 2019 Associate Member of the Year Award from Illinois Rural Water Association (IRWA). 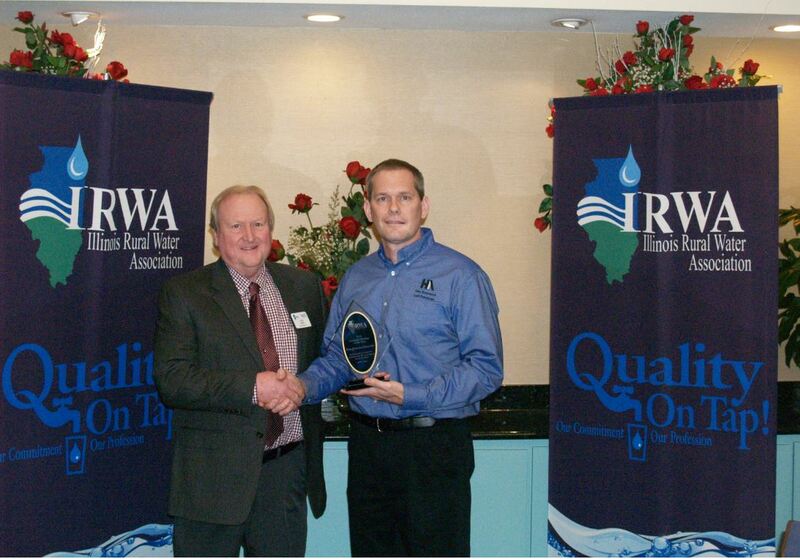 IRWA is a non-profit organization of rural water and wastewater systems. They provide training and technical assistance throughout the state of Illinois. Membership is open to all organizations and individuals associated with the water and wastewater industry. The award was accepted on February 19th, 2019 at the IRWA Show by HA President Bob Manns in front of approximately 200 people consisting of water operators, government officials, funding agencies, and IRWA board members. HA was recognized for their continued dedication and support of the IRWA by continually attending the annual IRWA Show, hosting a booth, speaking at multiple IRWA shows throughout the years, Emily Fortschneider’s recent speaking tour, administrative conference support/attendance and being an overall supportive associate member of the IRWA year after year. This award was earned by continual hard work performed by multiple members of HA’s staff throughout the years. To learn more about the IRWA and what they can do for you, please visit their website at ilrwa.org.